The guard on this one handed double-edged straight-sword, is patterned after those found on swords dating from the 3 Kingdoms Period (220AD – 280AD). SKU: 149. Category: Jian. 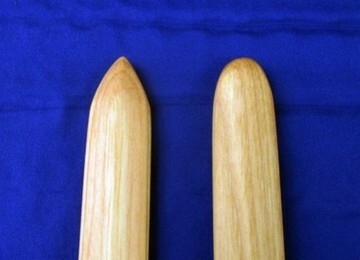 Tags: custom wooden swords, Gim, Jian, wood taiji sword, wooden martial arts swords, Wooden tai chi sword, wooden taiji swords.